Do you have memories of creating salt dough ornaments with your grandmother? Just a few simple ingredients and you have amazing smelling, super simple, homemade ornamnents to hang on your family’s Christmas tree. The first time I made salt dough ornaments with my own kids was an incredibly fun learning experience! We learned we could create almost any shape for the holidays and that salt dough ornaments need a lot of salt! More importantly, we learned that creating something unique, special, homemade and VERY budget-friendly (we already had all the ingredients in the pantry) was what made holidays extra special. But I have a special place in my heart for gingerbread men. You can also find a super-cute, paper gingerbread house that lights up here! 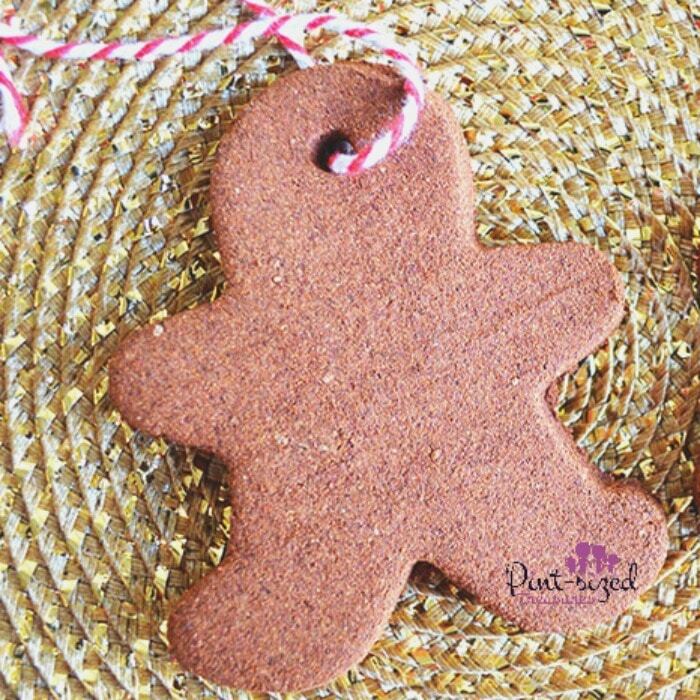 It would be the perfect match to these gingerbread men ornaments! Homemade Christmas decorations are my all-time favorite! I’m not sure if our family has more fun creating them or enjoying them! Did you know salt dough ornaments last a really long time if you take care of them? We still have the same ones my kids made eight years ago! Keep the in a air-tight container for safe-keeping when they’re not decorating the Chrsitmas tree! If you love salt dough ornaments, you’ll love these snowmen magnets too! If you want to avoid some common blunders of salt dough Christmas ornament making, then stay tuned. Make your dough medium-thick. Not too thin and not too thick. Let dough cool before painting, but add glitter while dough is still hot. Make a hole in the ornaments for hanging BEFORE you bake them! Your house will smells like Christmas! Just like it should. <3 Cinnamon, apples and cloves --- oh my! And the smell lingers throughout the season! Dreamy, right? 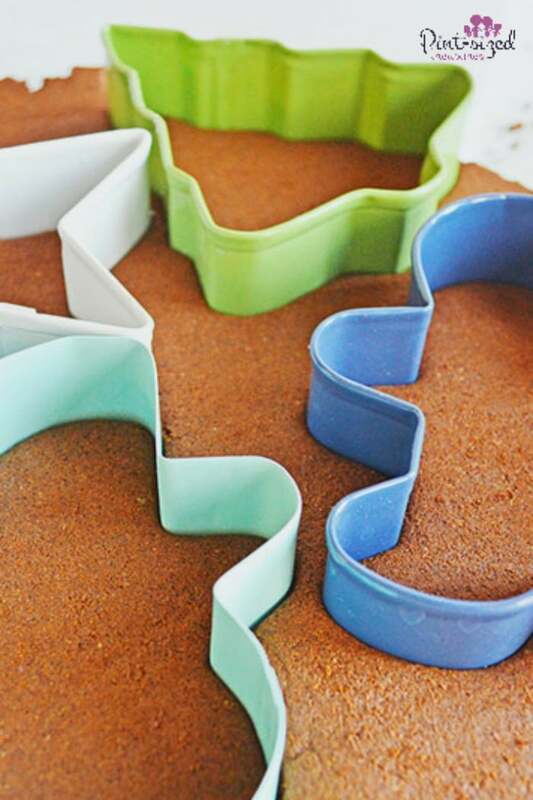 Kids will love pressing the gingerbread men cookie cutters into the soft, cinnamon dough. 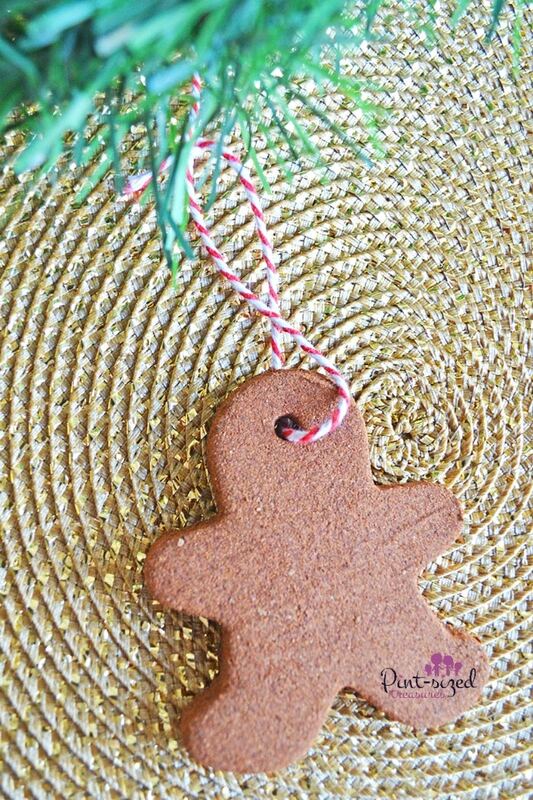 Everyone can personalize their gingerbread ornament for an extra touch of fun. My kids love to watch Christmas cookies, ornaments and bread bake! They’re mesmerized with seeing their creation transform into a Christmas ornament! I thought it was pretty mesmerizing myself the first few times! After all the baking is done, it’s time to place a ribbon, twine or string through your perfectly baked gingerbread man and hang it on the tree! Don’t you love seeing a tree full of handmade ornaments? Christmas trees like that seem to welcome everyone into house full of love! Ready to create some simple decorating memories with your kiddos? In a large bowl, combine all of the ingredients, mixing until well combined and a dough begins to form. 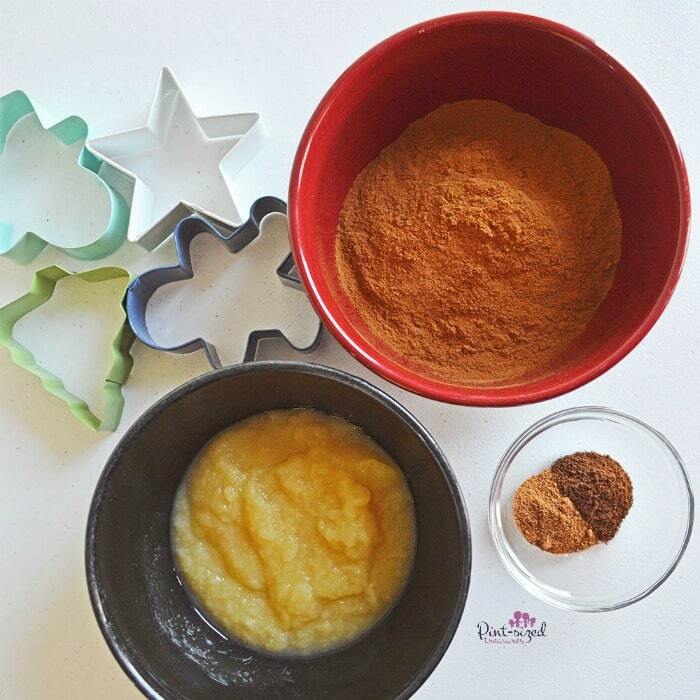 Sprinkle your surface with extra cinnamon to avoid sticking. Place dough mixture onto the surface and knead the dough, then roll it into a ball. Roll out your dough flat, about 1/4 inch thick. 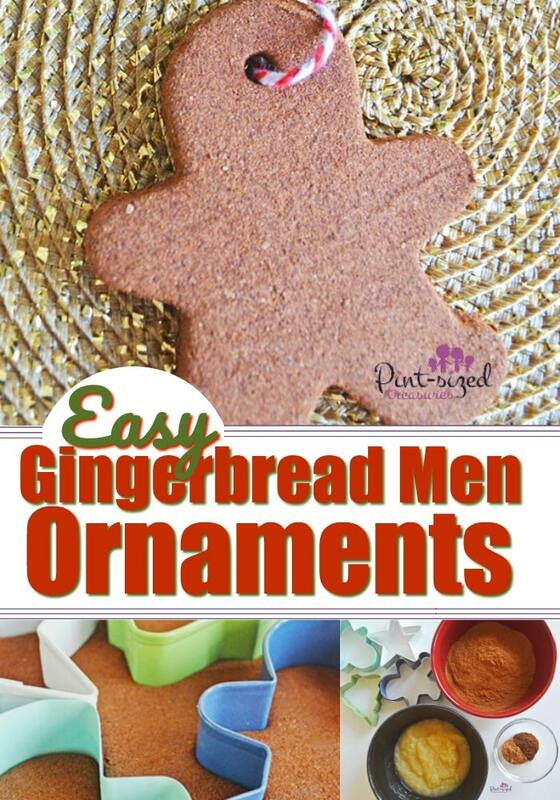 Using your gingerbread men cookie cutters, cut out cinnamon shapes and lay them onto the parchment paper. Use a drinking straw and poke a hole in the ornament where you want the string to go through. Leave a little bit of space as a buffer so the ornament does not break. Let the ornament cool, add some ribbon or twine to your ornament and hang for some amazing smelling ornaments. 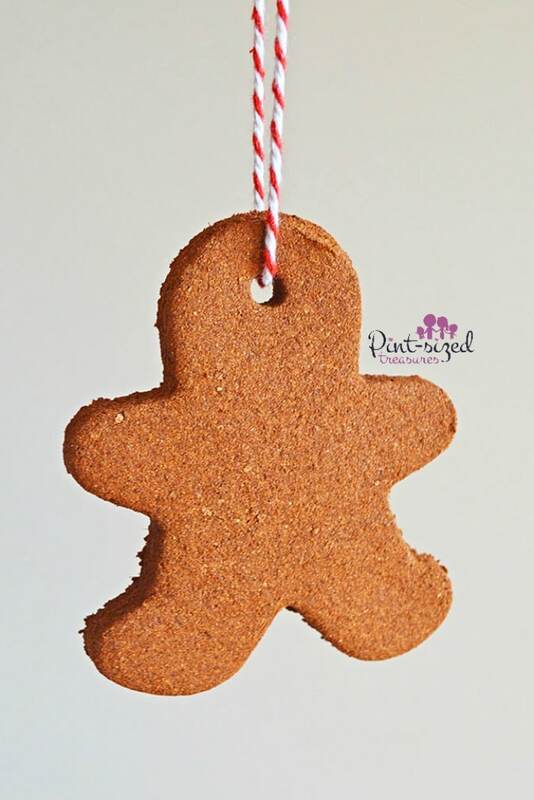 Be sure to share pictures of YOUR cinnamon gingerbread ornaments with us on Facebook!